We are offering the best and rare quality Brass Gramophone. These are designed by our experienced designers keeping in view the latest market trends of the market. Available in a range of designs, sizes, colors and specifications, our offered earrings perfectly suit individual requirements of clients. 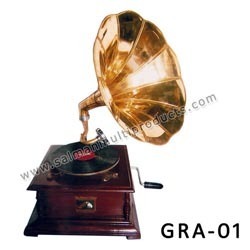 Our firm is well-known and trusted entity in the market by providing a top quality of Brass Gramophone to the clients. - 134. G Tune long. 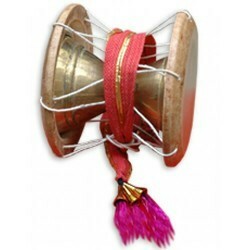 made of brass , best gift in affordable price. Limited stock. The Brass Flutes are made of brass metal pipe, the size and tone / pitch of brass flutes are as good as bamboo flutes and available in Totidar (a small pipe is used on right upper side to play side flutes), side and straight in B size (14" inch) and other sizes on demand only. The trumpet has a fascinating history that dates back to at least 1500 BC. The earliest trumpets have been found in various locations, including Egypt, Scandinavia and China.